The Mechanization of Empathy in Health Care is the title of a first workshop which took place in January 2009 at Ritsumeikan University, Kyoto and was dedicated to the analysis of transformations produced by technology in the relations between workers and patients in contemporary healthcare. The wealth of reflections that emerged from this first meeting encouraged us to organize a second one on the same theme. While the first one focused on the transformation of the relation of empathy when it is massively mediated by technology, this second workshop want to throw more specific light on the way in which this technical mediation affects the social and affective relations between patients, doctors and those who are close to them. Just like the first meeting this second one is also thought as a space of exchange and discussion between research groups that face the same theme and object but in very different geographical places, Italy and Japan. More importantly, this physical distance also corresponds to an important socio-cultural diversity that is visible in different attitudes to the evolution of technology and its impact in the domain of healthcare. 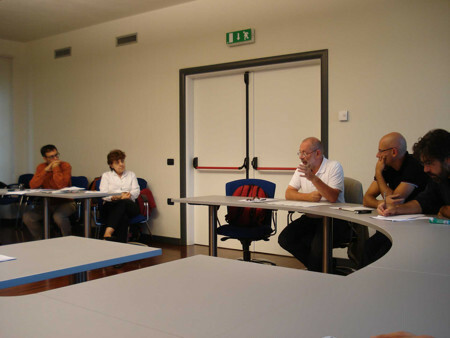 This second meeting of the workshop The Mechanization of Empathy in Health Care which will last two days, will be held at the University of Bergamo. For reasons of convenience the language of the workshop will be English as it was the first time. The first part of the workshop will be dedicated to the effect of technology on the life of patients, especially those who are afflicted by chronic diseases or by illness in terminal stage, the second half will be on the use of robots in therapeutic context. 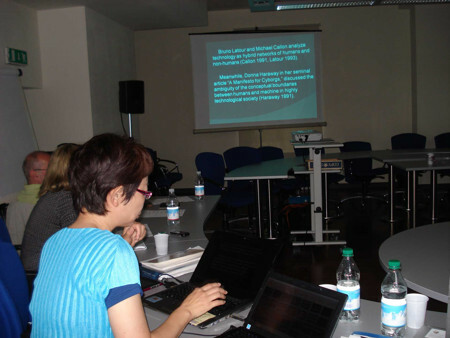 Concerning the workshop, "The Mechanization of Empathy in Health Care" from September 17 & 18, 2010, I believe that I had fruitful experiences, including the practice of English toward my presentation. Especially, I would like to focus on the following two points. First, I feel the importance of advance preparation in Japan. Especially, I appreciate preliminary practice with all participants. I learned the correct grammar and word choice and appropriate expressions from the faculty staff and it was really useful for me. Also, since there was enough advice both for the content of presentation and the speed of reading my paper, my anxiety toward presentation turned into confidence. Without the advance instruction and support, it would have been difficult for me to have such fruitful presentation. In other words, I feel, from the viewpoint of a graduate student, that difficulties of having presentations in English (i.e., presentation at international societies) can be reduced by such supports. Second, I feel the importance of having a network with foreign researchers. My honest feeling through this presentation is that my presentation there was more popular compared with presentation at society in Japan. 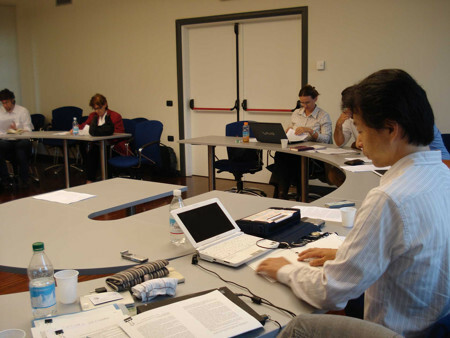 Although this workshop was closed one and was based on the continuing relationship with researchers at the University of Bergamo, I have the impression that writing clearly enables foreign researhers to understand the content and leads to interaction with foreign people in the context of research. I now have the feeling that conducting research and presentation internationally can develop one's research and network as a researcher. I think this experience is important one for considering my future course. Finally, let me tell you "what I have acquired". Although it is difficult to have presentation in English, it seems that advance prepration can reduce one's anxiety. Enough preparation leads to fruitful presentation and it provides us with the positive confidence that we do not have to become overwhelmed at presentations overseas. I strongly believe I will make use of this experience in the future. 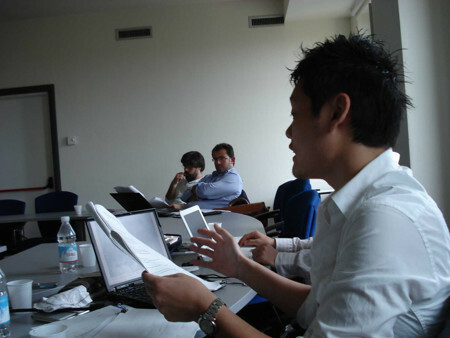 I participated in the workshop, "The Mechanization of Empathy in Health Care" which was held at the University of Bergamo on September 17 & 18, 2010. Since it was a closed workshop for the total of about 20 people, we were able to have enough time for a Q & A session for each report. The language of the workshop was English. Since this was the first time for me to have a preseatation overseas and one in English, I spent a lot of time to prepare for my presentation. I started prepraring for this little by little from the end of July. I preprared for two kinds of materials--handout and text. Since I have visual disabilities and am not good at using image for presentation, the whole structure of my presentation was made by only language. Also, since I worried about a Q & A session in English, I included in the handout all information I have concerning the theme. Because I had presentation in Italy, I made every efforts to explain the system in Japan, such as the social security system using footnotes so that foreign people could understand. As a result, the total number of handout in Japanese was about 16,000 letters, about 7,700 words in English. Then I preprared for text consisted of 3,000 words by summarizing the handout. In the process of translating the Japanese-version material into English, I had a lot of support from English staff of Graduate School of Core Ethcis and Frontier Sciences. I really appreciate their support. I think my presentation worked well with all the materials I had prepared. Upon reflection, I cannot forget "the road to Bergamo". It made this trip including the workshop good memory.